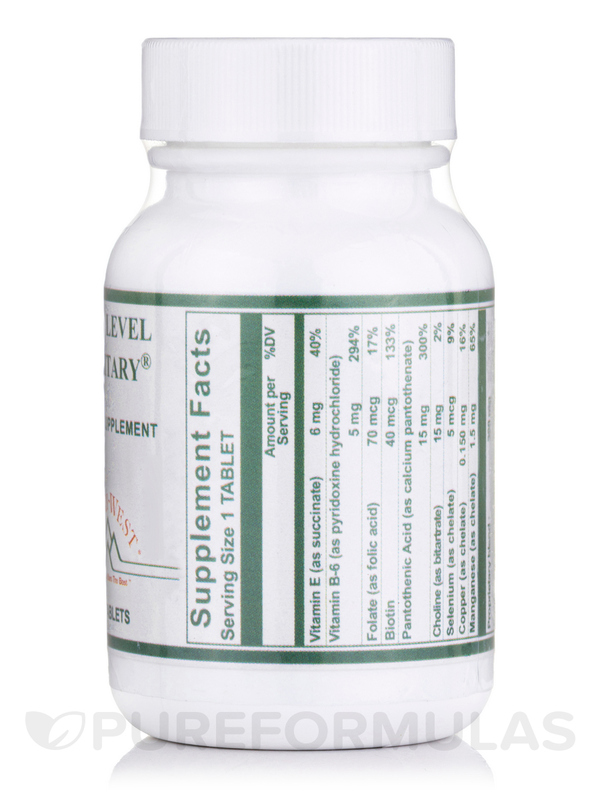 Nutritional support of proper pituitary gland function! 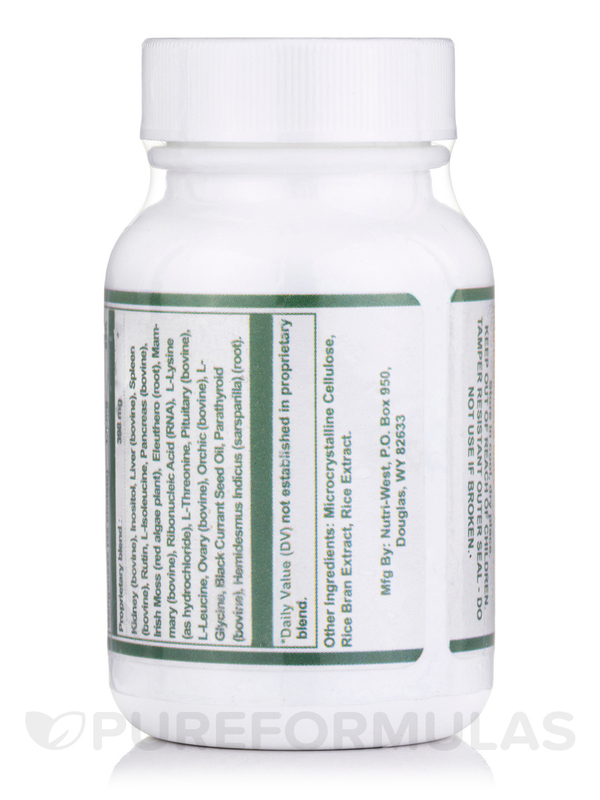 Kidney (bovine)‚ inositol‚ liver (bovine)‚ spleen (bovine)‚ rutin‚ L-Isoleucine‚ pancreas (bovine)‚ Spanish moss (moss)‚ eleuthero (root)‚ mammary (bovine)‚ ribonucleic acid (RNA)‚ choline (as bitartrate)‚ L-lysine (as hydrochloride)‚ l-threonine‚ pituitary (bovine)‚ l-leucine‚ ovary (bovine)‚ orchic (bovine)‚ l-glycine‚ black currant seed oil‚ parathyroid‚ goldenseal (root)‚ hemidesmus Indicus (sarsparilla) (root). 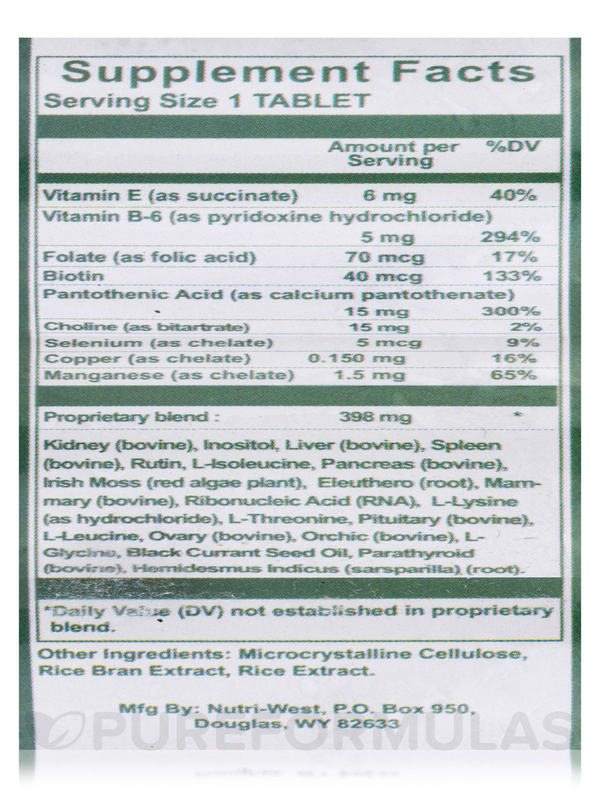 Other Ingredients: Microcrystalline cellulose‚ stearic acid‚ magnesium stearate. Keep out of reach of children. 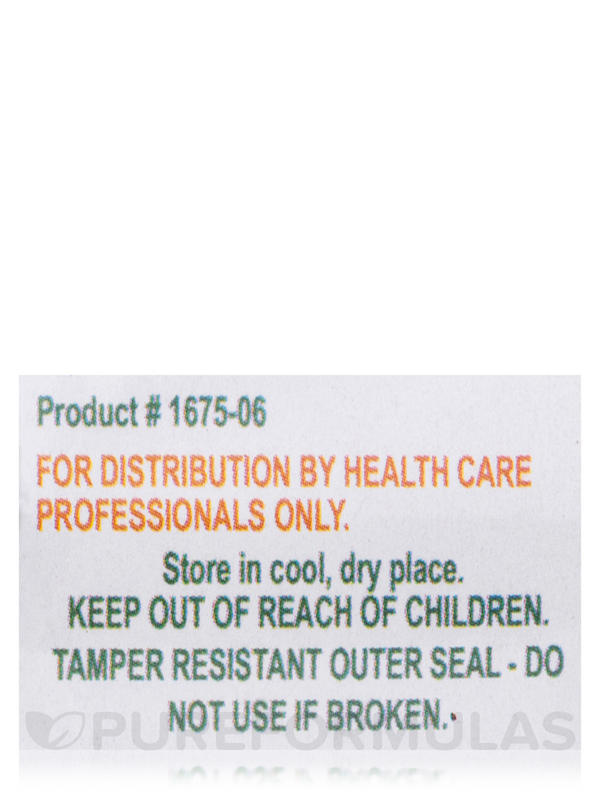 Tamper resistant outer seal. Do not use if broken. Store in a cool‚ dry place. 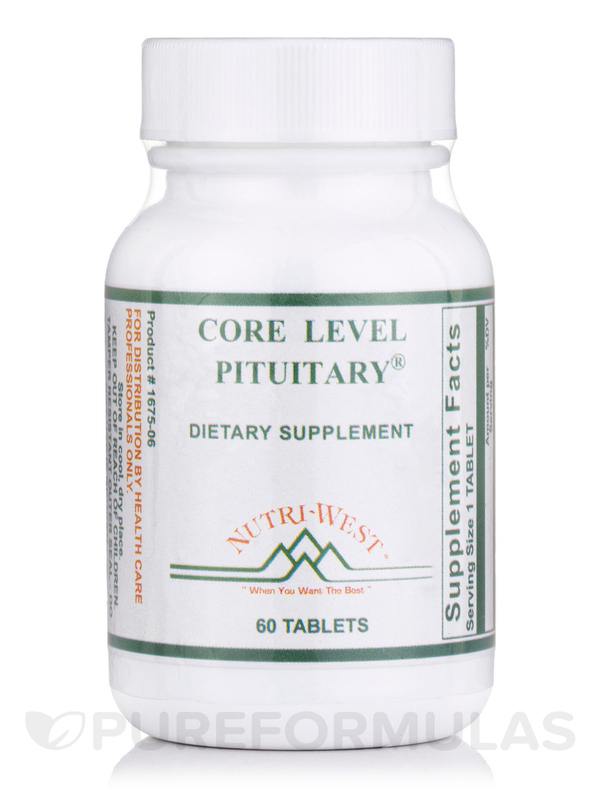 I really like the Core Level Pituitary by Nutri West. 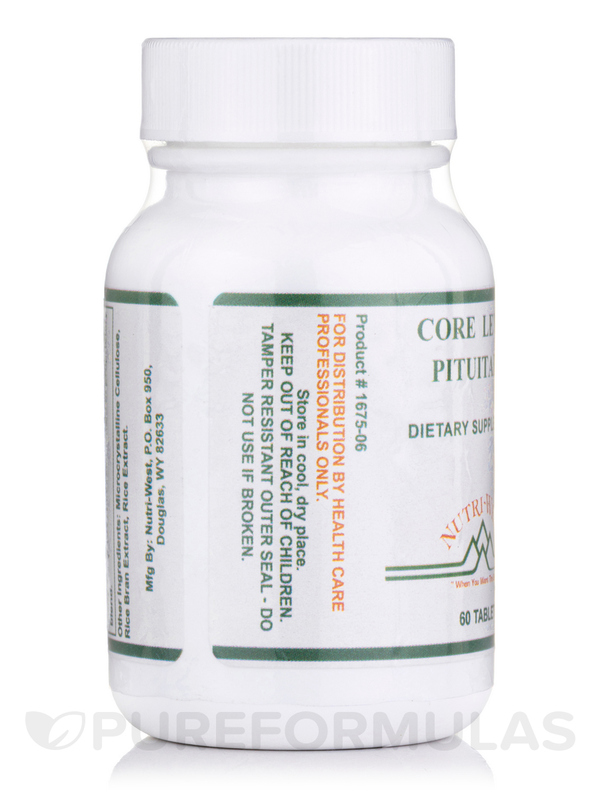 My sisters Chiropractor recommended to her and she told me about them. 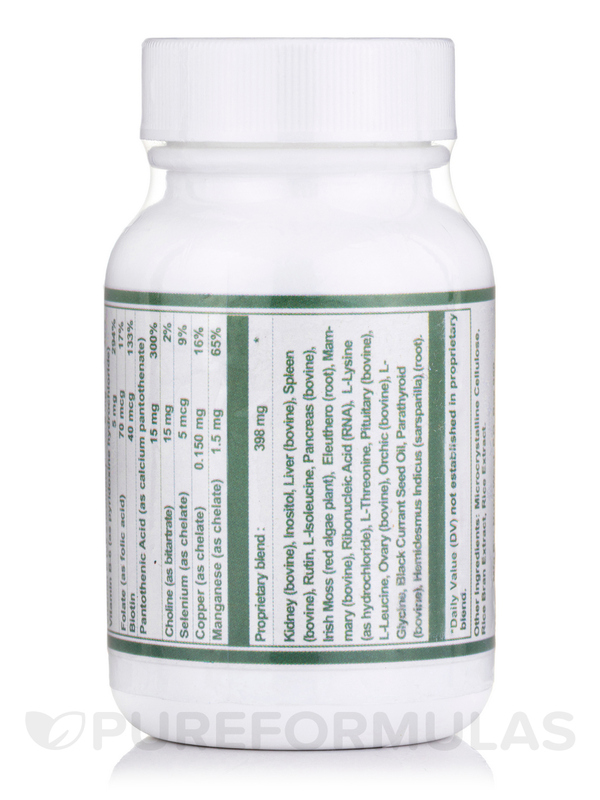 I began to loose belly fat which I am told will lower my blood sugar. I am very disappointed that they have been out of stock for so long and I have been out for 2 weeks. Other than that no problem. I was loosing weight in my stomach.